FSU's Dalvin Cook NOT Guilty in Bar Punch Case ... Celebration Is On! 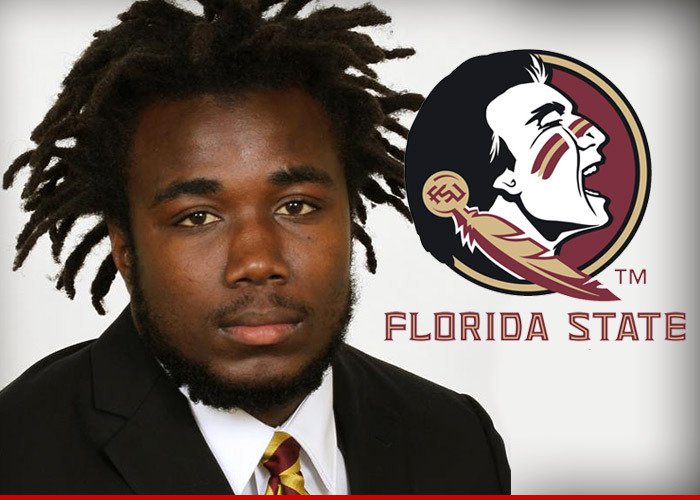 FSU's Dalvin Cook -- NOT Guilty in Bar Punch Case ... Celebration Is On! Not guilty, y'all got to feel Dalvin Cook -- a jury exonerated the Florida State University running back of allegedly punching a woman outside a Tallahassee bar. The jury took a mere 20 minutes on Monday evening to deliberate the case ... where Cook was accused of punching the 21-year-old FSU student on June 23. Several of Cook's teammates testified that he never laid a hand on the alleged victim. Cook and his attorney openly celebrated in court as the verdict was announced. Cook -- who was expected to be one of top RBs in the country -- has been suspended indefinitely from the team. His attorneys wanted to move up his trial date -- originally scheduled for September -- so, the matter could be cleared up before FSU's season begins. A few hours after the verdict, FSU lifted Cook's suspension yet.